The purpose of this study is to identify the levels of financial literacy, money attitude, self-esteem, financial capability and financial well-being of young employees, to explore the differences in financial well-being based on demographic characteristics of young employees and to identify the determinants of financial well-being among young employees. The sample consists of 508 of young employees aged 40 and under in central zone of Malaysia, which selected through multi stage sampling technique. Data were collected through self-administered questionnaires. 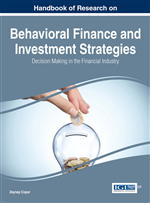 Financial literacy, domains in money attitude and financial capability had significant influence toward financial well-being whereby financial capability become a major contributing factor to the financial well-being. By understanding more about the determinants of financial well-being, it is hoped to help young employees to become financial prudence and in the long-run could decrease the number of young employees declared bankruptcy. Financial problems are not just the concerns of the poor. The declining employment opportunities, income instability and tough purchasing power of Malaysian households are among the important issues facing by families. As a result, these issues captured the attention of policy makers and educators. In recent times, economic changes have made an impact towards how the people spend, save, invest and manage risks in order to protect their standard of living especially in long-term plan. Young or prime adult is generally a person in the age range of 20 to 40 whereby these individuals and households have relatively low incomes and few assets such as homes, savings and stocks. However, it is also a time when young adults make a decision and significant investments in their future and mostly require debt (Haveman& Wolff, 2005). According to the report by Federation of Malaysian Consumers Associations (FOMCA) in 2011, many of those declared bankrupt due to credit card debt were under 40 years old and 72 percent of them have no retirement plans. Apart from that, it was reported that 47 percent of these young employees were in serious debt with monthly debt payment were 30 percent or more of their gross income and had enough savings on an average for only four months if they stop working. This is seen as unfavorable financial management activities especially for their long-term planning. A survey of Financial Behaviors and Financial Habits of Young Workers was carried out by the Consumer Research and Resource Centre (CRRC) in 2012 among 1,000 respondents from urban area in Kuala Lumpur, Selangor and Putrajaya. It was reported that almost half of young workers aged between 18 and 35 years old were in serious debt whereby those earning between RM 2,000 and RM 3,000 per month had the most serious debt problem and it was likely due to acquiring assets like a house, car or getting married, thus increasing their loan repayment obligations. Apart from that, a study was done by Ramli, Sum, Manaf, Saad, Hussain and Lyndon (2011) toward married young employees in public sector. It was reported that their financial well-being was still in moderate level. It cannot be denied that high-cost of living in urban areas, increased cost of basic goods and amenities and financial dependents of households require them to survive and make a proper financial planning in order to ensure better financial well-being in the future. Apart from that, the combination of financial problems such as high debt, low income, and low levels of financial literacy may adversely affect individuals’ financial well-being. Income uncertainty, rising petrol prices and physical pain for instance, have a more drastic influence on well-being. The concept of well-being or people’s perception on well-being may be varies and depend on change in the level of people life. In the past, well-being had a meaning of overall happiness or satisfaction with their financial status or assets. However, in present the concept of well-being has been expanded to material and non-material aspects of a person’s perception from their financial status, improving their standards of living, ability to meet the needs, feeling safe, comfortable and satisfied with the income. Today’s young adults are clueless when it comes to their finances, retirement savings, smart investing, credit card and debt. There are still low in financial literacy among young adults especially when they were asked about interest rates, inflation and risk diversification. This is seen as an obstacle to the financial well-being as young adults are difficult in struggling to their own financial prosperity because they never learned how to budget and plan to achieve financial security. The increasing levels of compulsive buying among young adults have contributed to personal financial problems, personal bankruptcy filings and credit card debt (Roberts & Jones, 2011). Young people today face different financial challenges than their parents did. They also accumulate greater debt at younger ages, largely due to high college costs. More than ever, they need to gain skills to take a more active, responsible role in their personal finances. The inclination to view life events in a negative way also become a major impact on individual’s well-being, thus override positive feelings and self-esteem when reporting felt distress. The effects of affectivity and self-esteem, employment commitment and financial strain become the predictor to financial well-being. Money Attitude: Money attitude can be defined as a means of influence and protection and reflect to a personal dependence on money that lead to ongoing concern about money (Furnham, 1984 AU77: The in-text citation &quot;Furnham, 1984&quot; is not in the reference list. Please correct the citation, add the reference to the list, or delete the citation. ). Compulsive Buying: An unhealthy obsession with shopping that materially interferes with the daily life of the afflicted. This ailment goes beyond mere consumerism and is psychological in nature. Financial Well-Being: Financial well-being is defined as a state of being financially healthy, happy and free from worry and base on subjective appraisal of one’s financial situation (Joo, 2008 AU76: The in-text citation &quot;Joo, 2008&quot; is not in the reference list. Please correct the citation, add the reference to the list, or delete the citation. ). Financial Literacy: Financial literacy can be defined as possessing of knowledge necessary in order to understand concepts related to finance (OECD, 2011 AU75: The in-text citation &quot;OECD, 2011&quot; is not in the reference list. Please correct the citation, add the reference to the list, or delete the citation. ). Self-Esteem: A concept given by Branden (1969) AU79: The in-text citation &quot;Branden (1969)&quot; is not in the reference list. Please correct the citation, add the reference to the list, or delete the citation. that describes self-esteem as the experience of being competent to cope with the basic challenges of life and being worthy of happiness. Financial Capability: Measure of knowledge, skills, attitude and behaviors to manage personal finance whereby knowledge is necessary to understand the financial products, terms and concepts, skills for the ability of budgeting and attitude as a willingness to spend time to keep track with finances (OECD, 2008 AU74: The in-text citation &quot;OECD, 2008&quot; is not in the reference list. Please correct the citation, add the reference to the list, or delete the citation. ).